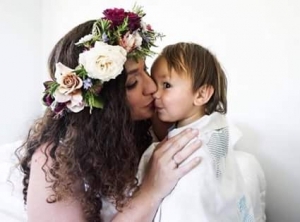 We operate our business out of our home studios which are located on the flower farm, five minutes drive out of Raglan township towards Manu Bay. We are available for orders 7 days a week. 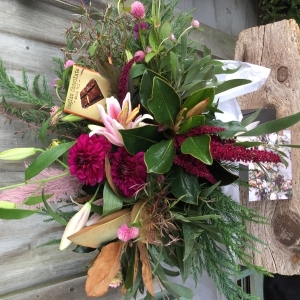 With delivery within Raglan township available 7 days but delivery outside of Raglan only available Monday to Saturday. 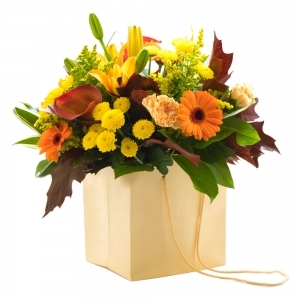 Saturday deliveries have to be placed no later than Thursday night. We are Raglan Buds Flower Farm. A small scale flower farm situated just out of Raglan township. 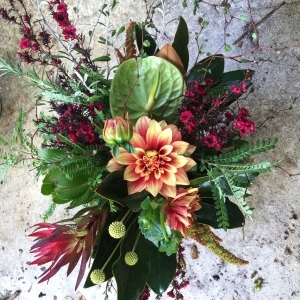 As creative friends and neighbours with a passion for growing all things, we love designing flowers for all occasions. 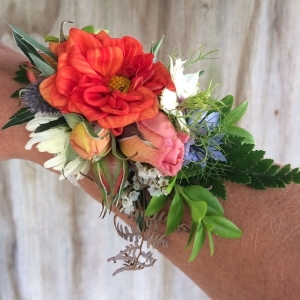 We grow an array of different, interesting, seasonal flowers on our 3 acre property. 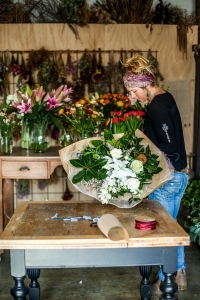 When demand requires us to outsource extra flowers we love supporting fellow flower farmers and growers in our area. 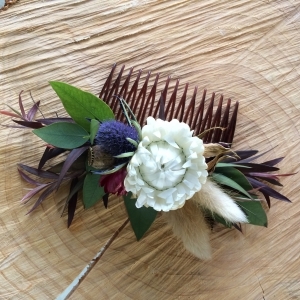 Our style is unconventional, yet romantic, wild and bohemian. 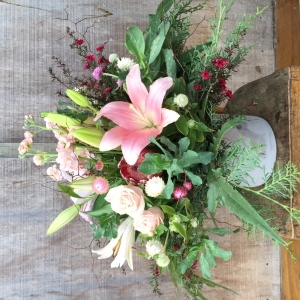 We love keeping our arrangements looking unique and interesting by adding wild, foraged elements. 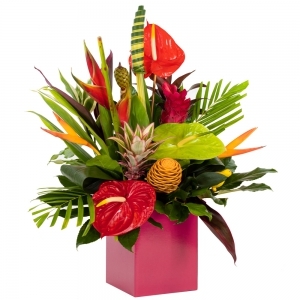 We take pride in our flowers on having a low environmental impact. All packaging is able to be composted, recycled or reused. We grow our flowers ecologically, with the health of the soil and the people living on the land as priority. Fresh, Seasonal, Local, Wild, Foraged, Sustainable. 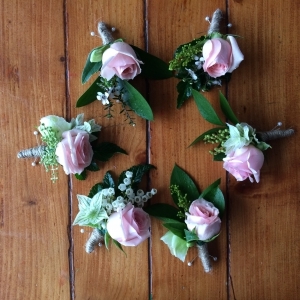 Feel free to check out our Facebook page (Raglan Buds Flower Farm) to see other examples of our work. 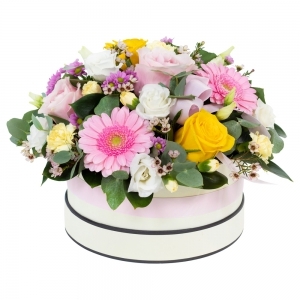 One off arrangements for all occasions. 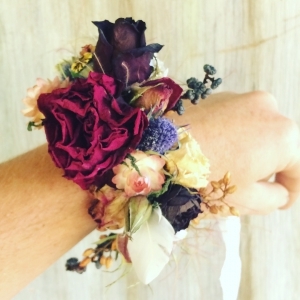 -Fresh and dried flower crowns, boutonnieres, hair pieces and corsages. 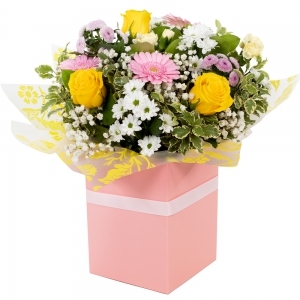 We offer a same day delivery service for Raglan area. For orders been sent out of Raglan (Hamilton etc), please place order by no later than 5pm for following day delivery. 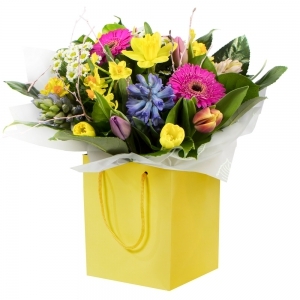 Waikato area only for delivery of fresh flowers. Dried goods can be shipped around the country. Ordering was easy to use. 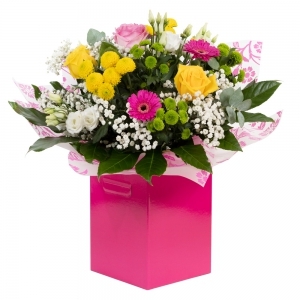 Beautiful flowers, I loved that they emailed me a picture of the actual arrangement they had done and confirmed with me when it had been<br />delivered. 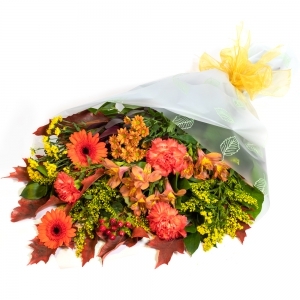 Great communication and gorgeous bouquet. Totally made a special friends day! Beautiful flowers. 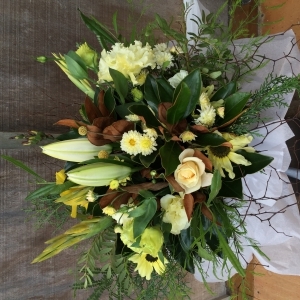 Really appreciate being sent a picture of the flowers that were sent. <br/> <br/>Thank you. Great company! :) highly recommend. Excellent service. Love how a photo is provided to me prior to delivery. These guys were amazing!!! Flowers looked great! Wrong coloured flowers and it was missing the card/message so the receiver had no idea who it was from. More foliage than flowers. Won&rsquo;t be ordering from them again. My mum loves her Mother's Day flowers. They are beautiful! It's great to see them on screen too, it makes it easier to choose the right bouquet. 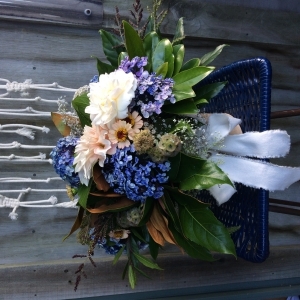 I recommend Raglan Buds Flower Farm. a picture was sent to me so <br/>i saw how lovely the flowers were. 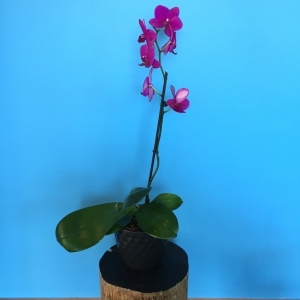 Beautiful flowering orchid, potted in a stylish dark gray ceramic planter. Gift wrapping and card available free of charge. 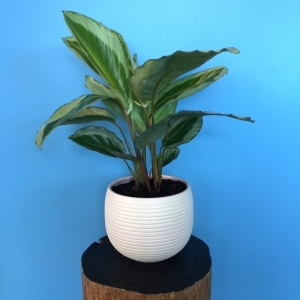 Stylish ever green house plant, potted up in a white ceramic planter. Gift wrapping and card available free of charge. 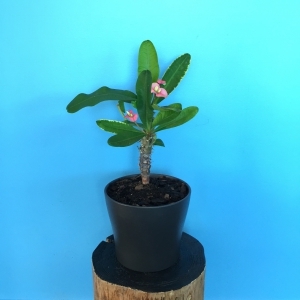 Ever green, easy care house plant. 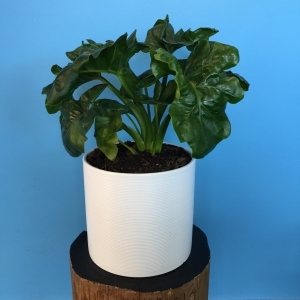 Potted in a stylish white ceramic planter. Gift wrapping and card available free of charge. Ever green, easy care house plant. Potted in a stylish dark gray ceramic planter. Gift wrapping and card available free of charge. 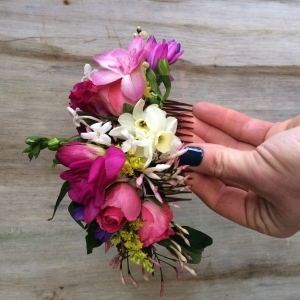 Florists choice. 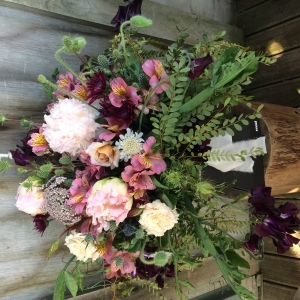 Classic muted vintage flowers styled in a box. 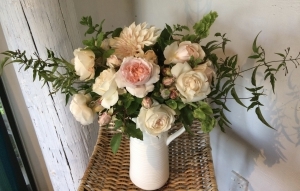 Florists choice of classic muted vintage flowers styled in a reusable vessel (style subject to availability). 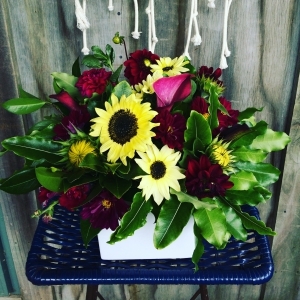 Florist choice of moody winter tones styled in a box. Florists choice. 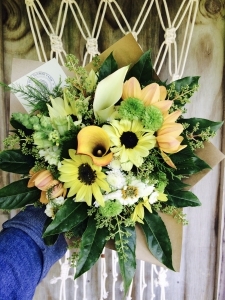 Mix of seasonal creams and yellows with greenery. 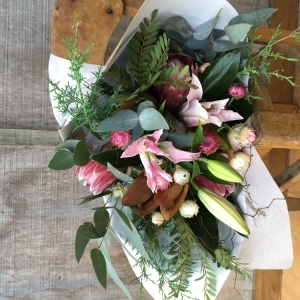 Styled as a wrapped bouquet. 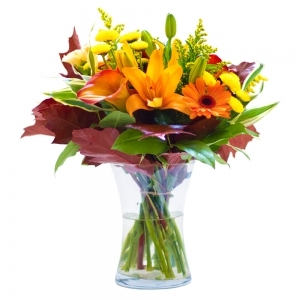 Florists choice of a bright seasonal mix styled in water vessel with a card and block of organic Raglan chocolate. Seasonal mix of creams, yellows and greenery. 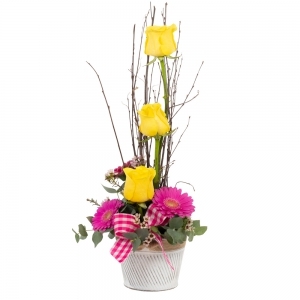 Florists choice using seasonal flowers. 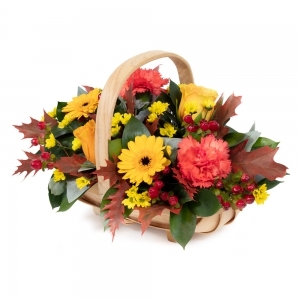 Florist choice, seasonal blooms arranged in a reusable pot. 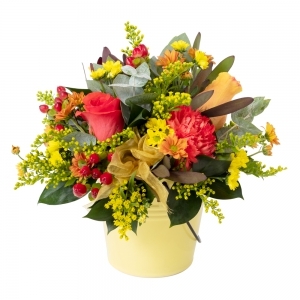 Florists choice of seasonal bright flowers and foliage styled in its own reusable vessel (subject to change depending on availability). 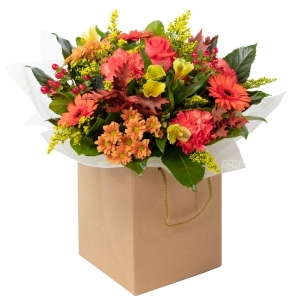 Florists choice of textural bright flowers and foliage arranged as a wrapped bouquet. 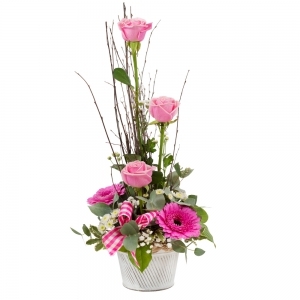 Wrapped bouquet in seasonal pinks. Made to order to suit your colour scheme. Made to suit your colour scheme. 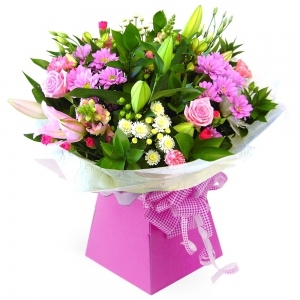 These can be made up and delivered to Hamilton on the same day if order made the day before. 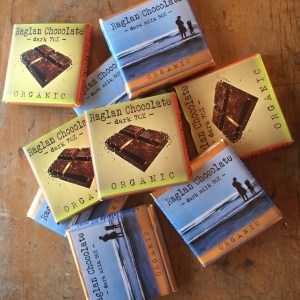 Organic locally made artisan chocolates x 3 bars.